Running, triathlon, cycling socks by Adrenaline Promotions feature core-spun COOLMAX fabric which is the best of both worlds; unsurpassed moisture management and LYCRA sport stability. Our specific knitting machines place the COOLMAX fabric on the inside of the socks where it controls moisture from the foot; while the 3-ply nylon is used on the outside of the sock for strength and durability. The core-spun yarn is the most efficient way of knitting LYCRA fabric into the foot of the sock and still allow both the COOLMAX fabric and nylon to be sandwiched together. The cool designs are just a disguise; it's a unique construction of the best materials and is unmatched anywhere. Along with the high-tech build of the sock, our socks come complete with a knitted in design or logo. 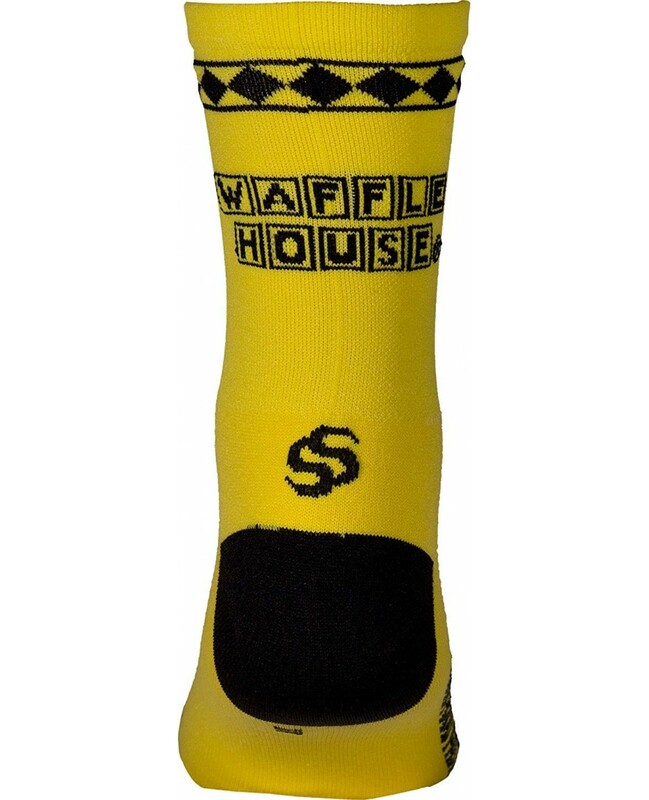 Because the design is knitted into the sock, you can be assured that it will never fade away or be washed off. Although this sock was originally intended for cycling, it has grown beyond anybody's expectations. Our socks are used daily by runners of all sorts whether they are running, or training for, an ultra-marathon, marathon, half-marathon or 10K. 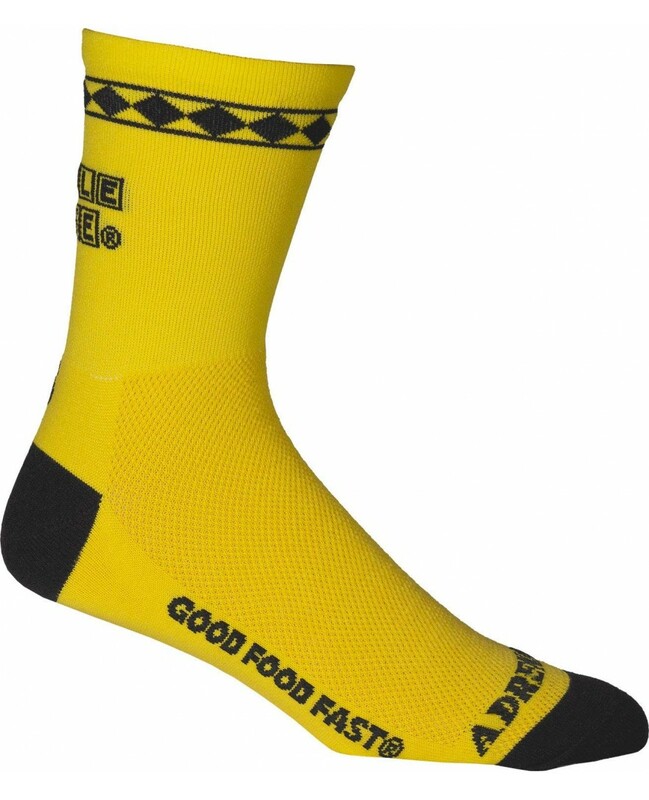 Additionally, our socks are used by inline-skaters, professional cyclists, movie stars, desk-jockeys and even politicians. And these are men's socks and women's socks. - socks for everybody. Simply - a great all-around sock. With such a wide audience, who could say this sock is limited to one.